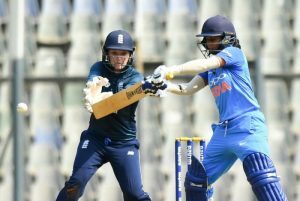 The first One Day International match of the England Women cricket tour in India took place on 22nd February 2019. The match took place at the Wankhede Stadium in Mumbai. India Women won by 66 runs with a result of 202/10 in 49.4 overs to England’s 136/10 in 41 overs. England started off slow, unable to get a good start. The team’s low order collapsed with India rapidly taking wickets. Deepti Sharma caught Wyatt out, and Jhulan Goswami bowled Georgia Elwiss out soon after. Ekta Bisth took the final wicket with a catch, sending Anya Shurbsole out for a duck. The last three England batswomen ended up departing for a duck. England ended on 136 all out, taking India to a win in the first match of the series. The England Women’s tour of India includes three ODIs, and three T20 Internationals. The ODIs all take place in Wankhede Stadium in Mumbai, and the T20Is take place at Barsapara Cricket Ground in Guwahati. There has been a push to increase viewership of Indian Women’s cricket. There are very few fans attending the stadium matches even after school children were brought to watch the game. While there are still a number of hurdles to get over, there has been much improvement. You can watch the India Women’s home international matches live on TV. In addition to this, game schedules are coordinated to ensure that there are no overlaps. The England Women’s tour of India does not clash with days and times of the Australia Men’s tour of India.